Bhagavad Gita is an ancient Indian text that documents the dialogue between two great warriors, Krishna, the teacher and Arjuna, the student. 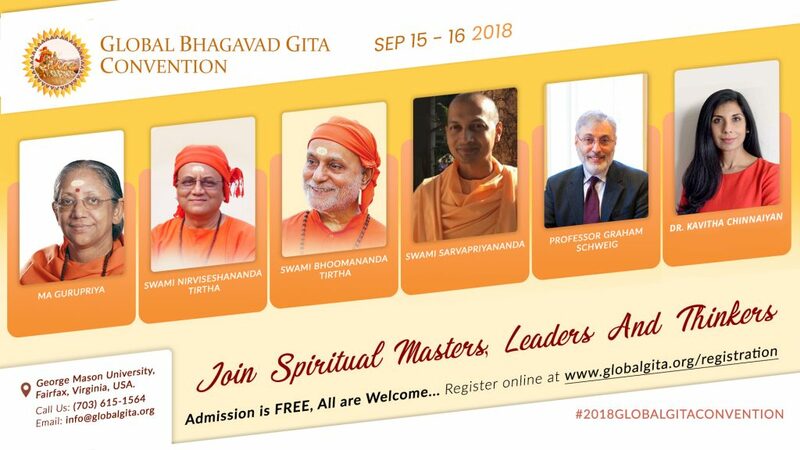 For the past several millennia people from all walks of life have discovered practical spiritual wisdom in Gita to empower their lives. 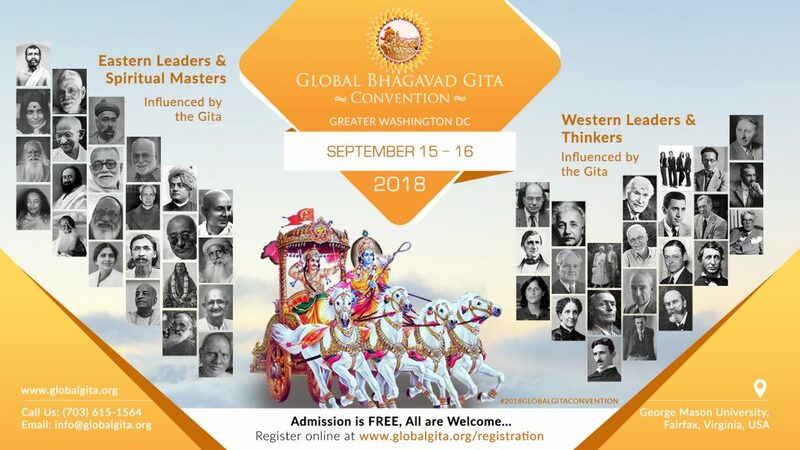 The knowledge in Gita provides a deep understanding of human nature enabling one to live and interact in the world with expansion, ease, and fulfillment. 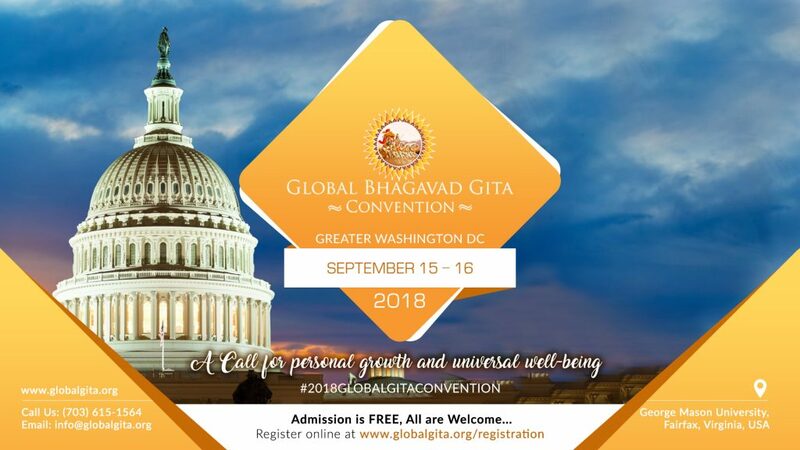 To attend the convention, for details and registration please visit us at @ http://globalgita.org/registration/ . All are welcome.Admission is #FREE.